Before the colonial Japanese government imposed its liquor tax law here in 1909, the country’s alcohol scene was varied and vibrant, with local breweries concocting their own beverages. Korea’s rapid, centralized modernization in the postwar years produced a handful of drinks -- soju, beer and makgeolli in particular -- that quenched the thirst of industrialists and salarymen alike. Korea’s traditional liquors, including takju (opaque, coarsely fermented drinks), yakju (filtered rice wine), soju (distilled liquor) and gwasilju (wine made with fruit), were, for a long time, relegated to the shadow of their Western competitors. But the trend is changing. Similar to the way craft beers and wines are percolating through the Korean market, traditional drinks -- of which there were once more than 300 kinds -- are regaining their foothold in the fine-grained marketplace, albeit slowly. The big change came in February, when the government amended a liquor tax law to allow restaurants and microbreweries to make and sell their own beverages. The revised law greatly lowered the bar for small time traditional brewers’ entry into the market by including traditional drinks in the list of microbreweries with a production capacity of 1,000 to 5,000 liters. 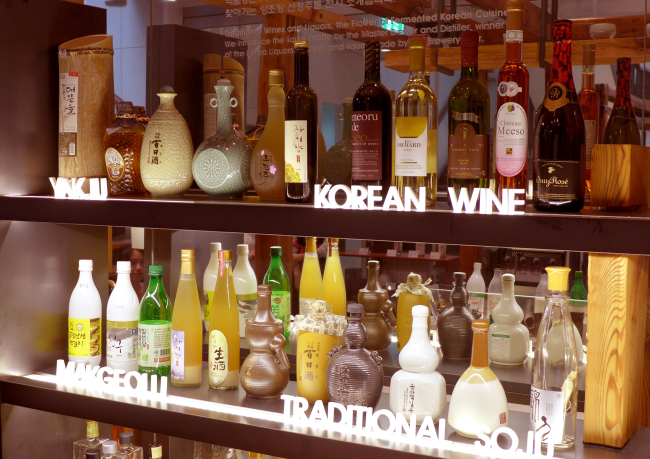 Takju includes makgeolli and dongdongju, popular drinks made of rice; yakju has clean-tasting drinks such as baekseju; soju is a popular vodka-like clear drink; and gwasilju can be made with persimmons, grapes and raspberries, among other fruits. Traditional liquors embody the cultural as well as climatic and ecological characteristics of the regions in which they are produced. For example, provinces in present-day North Korea and on Jejudo made alcohol using millet and sorghum, as rice did not grow well there and was expensive. 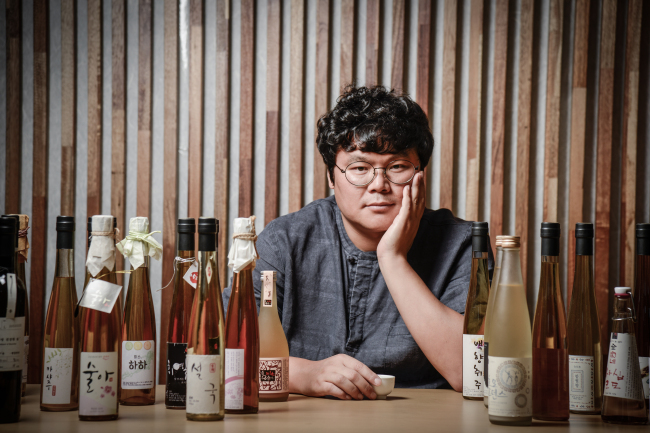 According to Ryoo In-soo, chief of the Korea Homebrew Laboratory, interest in the national beverages is growing, although it has not reached the peak level of 2011, when the drinks were much sought after in Japan and Korea on the back of the Korean Wave. Makgeolli was vulnerable to competition from beer, as it has a similar alcohol percentage and carbonated taste to beer and has established itself as a go-to easygoing drink here. Although exports have not fully recovered, domestic sales have risen since 2014, he noted, adding that more than 10 microbreweries have opened since the amendment to the liquor tax law took effect. Ryoo pointed out that global sales of French and Japanese sake -- especially high-end products -- have been growing, despite a fall in domestic consumption. He said it was critical for Korean companies to target overseas markets. “The global trend these days is toward lower-percentage beverages,” he said. Contending the fan base that led to the 2011 peak has not evaporated, he argued the industry should make efforts to reinvigorate their enthusiasm. The renewed fervor can also help create jobs and startups like small-scale restaurants and food trucks, as these businesses do not require much capital, he said. The burgeoning legions of creative chefs in Korea can benefit by producing and selling their food and drinks together, vitalizing the local culinary scene and culture, the chief added. 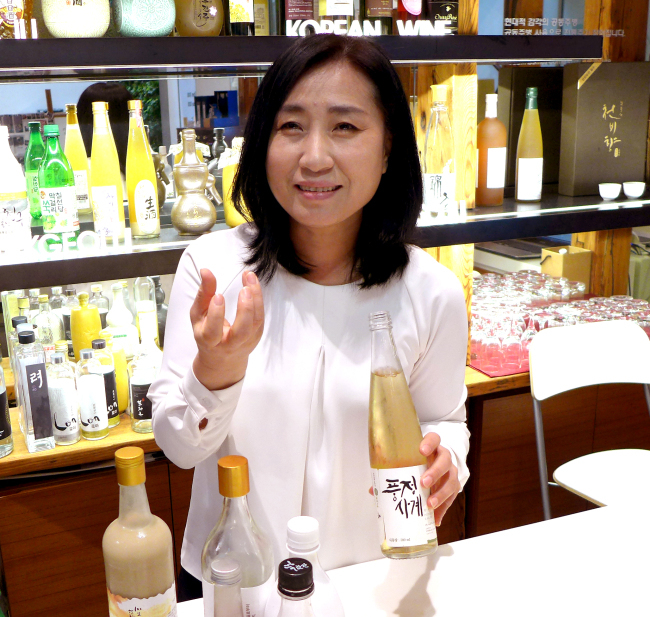 Lee Hyun-joo, director of the Sool Gallery in Seoul, said the popularity of traditional Korean drinks was “phenomenal” among foreign drinkers. 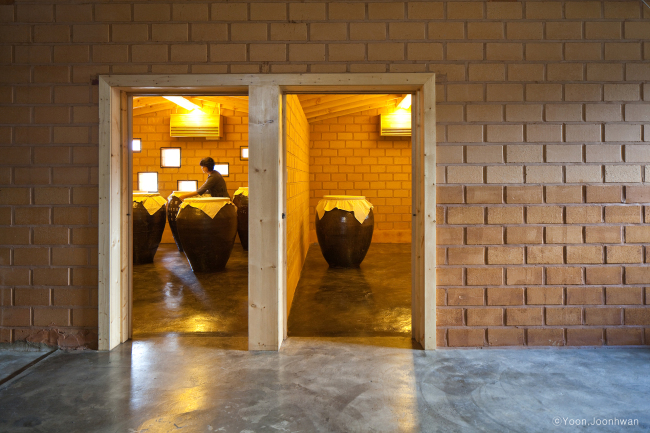 The gallery, jointly founded and supported by the Ministry of Agriculture and the Ministry of Culture, regularly hosts exhibitions and sampling tours. It also has a shop for traditional liquor, where visitors can taste and purchase drinks that are hard to find at regular shops and restaurants. Ryoo underscored that while the popularity of Korea’s national liquors is on the rise, there aren’t ample channels to turn the demand into commercial opportunities. He suggested catering to a greater number of consumer preferences across restaurants, and combining tourism with local breweries. Much like the way beer has become a universal beverage representing barley-based Western drinks, makgeolli can popularize Asia’s rice-based drinks, according to analysts. In particular, Yoon Sook-ja, head of the Korean Food Foundation, stressed the importance of commercializing the classical drinks to help globalize Korean cuisine and galvanize local economies.